There is no question about it – kids love summer break! While your little ones aren’t always excited about the beginning of the new school year, it may bring peace to your daily schedule. For you and your children, “Back to School” is an annual tradition of transition. Whether it’s moving up a grade or moving to a new school, your son or daughter will need to adjust to new teachers, new academic challenges, and maybe even a new social circle. We hope you went to orientation! Orientation prepares parents and students alike for many of these changes and provides the opportunity to get to know the faculty, staff, and curriculum. You likely received resources that address many of the issues that may come up throughout the school year. But how about being pressured to gamble? You know from experience that peer pressure is just a part of growing up. The dynamics of social circles change dramatically with each new school year – from kindergarten through college. The subject is frequently discussed as it relates to bullying, cyberbullying, drugs, and alcohol. But did you know that the risk of developing a gambling addiction could also be hiding on the playground? Putting lunch or allowance money on the line for cafeteria dares or basketball court bets mimics gambling behavior and can lead to a serious gambling problem in adulthood. If your child has a smartphone, they may also feel pressured to keep up with their friends on the latest app or mobile game. Unfortunately, these apps and games often push users to pay for upgrades or “loot boxes,” where the item received is unknown before purchase – similar to gambling. So when you have the talk about dealing with bullies and staying away from drugs, it’s important to remind them that they ALWAYS have a choice when it comes to how they use their money: Bank It, Don’t Bet It. 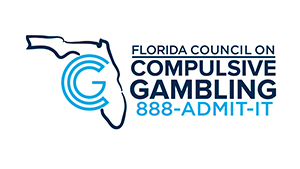 If you think you or someone you know may have a problem with gambling, call our free, confidential, multilingual HelpLine and get connected to resources for counseling, peer support, self-help groups, and more, 24/7: 888-ADMIT-IT (236-4848). Learn more at www.gamblinghelp.org. PREVIOUS POST ← If You Gamble, Play It Safe.